Working Holiday adventure by the Mediterranean Sea. The “Work and Travel Greece” programme is designed for students and young professionals from the European Union seeking to obtain international work experience to enhance their CV, or just looking for an exciting working holiday adventure by the Mediterranean Sea. We offer work placements in hotels and restaurants on various Greek islands. 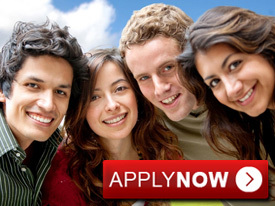 The placements are available in the hospitality industry for a minimum of 3 months. All the positions include accommodation and meals provided by the employer unless specified otherwise. Work placements are located in beautiful areas close to the sea. Work and Travel Greece is your ticket to the Mediterranean paradise; your chance to spend an unforgettable summer near the sea even if you can’t afford to go there on holiday. Location of job placement Various Greek islands. Visa Required	 EU citizens do not need entry visas or work permits for Greece.